Las Vegas is synonymous with high stakes gambling – and winning. Since the 1930s when illegal gambling in the city became legal, Las Vegas history has been littered with big wins and incredible stories. A short history of Las Vegas would include not only the casino stories but also the lounge shows by the likes of Frank Sinatra and Dean Martin in the 1950s through to Mariah Carey and Bruno Mars in 2019. Yet gambling is still the main draw of the Nevada desert, and it’s easy to see why. The chance of a big win Vegas style is the dream of many amateur gamblers, not to mention professional ones, but what sort of money is at stake? What Have Been the Biggest Cashouts at Las Vegas Casinos? When we hear of huge cashouts at Vegas, it’s often one of those big win Vegas slots successes we’re talking about because they make headlines. The biggest cashout on slots in Vegas history stands at $39.7m (see below), but it’s not always about the amount of money – sometimes it’s the story too. Think about the 71-year-old woman who played the same machine every time she visited Las Vegas and finally walked away with $9m after playing with under $100. Or what about the WWII veteran who won $4.6m when he was 76 only to follow it up with another $21m win years later. He gave most of his money to charity before he passed away. Do People Really Win Big in Casinos? Plenty of headlines follow the big-name successes – the billionaires and professional gamblers who have a lot of money to spare. But you’re probably more interested in the little guys, the people who go to Vegas with a budget and win big. Don’t despair – there are plenty of brilliant cashouts which might not make headlines as the biggest poker win in history but they’re life-changing for the people involved. How Often Does Someone Win Big in Vegas? You might think that the house always wins, but that doesn’t stop the huge cashouts from making headlines when they happen. Maybe it depends on what you call “winning big”. If you’re looking to smash some records, you’ll either need to be extremely lucky or put a heap of money on the table. But some strategic betting can get you modest returns that, you never know, you might be able to build up into bigger and bigger cashouts. The biggest slot machine win in Vegas to date came in the form of a $39.7m cashout by a man who only went into the casino to pass some time. Apparently, the odds of that win were 1 in 16.7m, meaning that he was insanely lucky but definitely in the right place at the right time. How’s that for a big win Vegas slots style? When you see headlines about roulette wins, it often seems to be the ones who have least to lose who have a Vegas big win. But there are still some fantastic stories, like the British man who sold almost everything he owned to put it all on one spin of a roulette wheel. It’s not a course of action we would carry out and would always recommend being responsible when gambling to ensure the most fun, even if he did double the $135,000 he put down on the table. 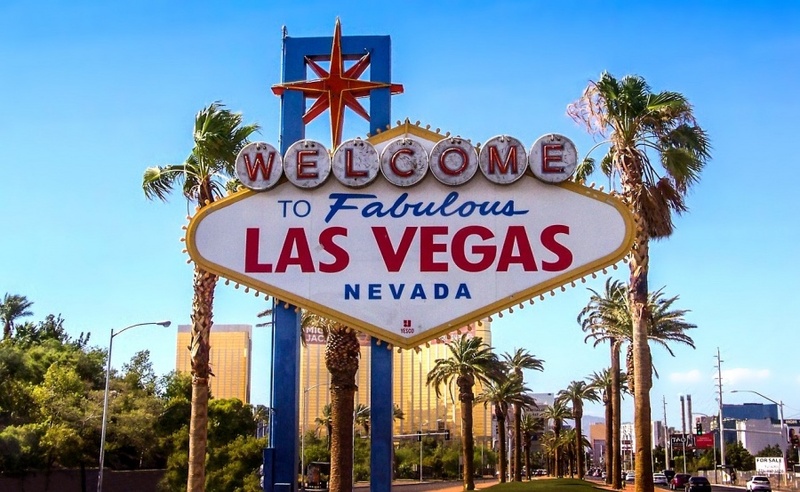 Poker players flock to Las Vegas for the World Series of Poker and 2019 doesn’t look to be any different on that score, especially since it’s the 50th anniversary. Buy-ins range from $500 up to $10,000 for the main event. Back in 2017, the WSOP title brought the rookie winner a nice $8.1m, and he beat 7,200 other competitors to get to that top table and record his biggest poker win. The biggest blackjack cashout seems to belong to an Australian billionaire who had money to spare. He won up to $33m following a trip to Vegas in 1997 by playing blackjack and baccarat. In a sign of money going full circle, though, he lost $28m a few years later in London. But if you’ve got that sort of money in the first place, you can afford to leave a bit of it on the table. Craps is a more complicated game than some of the others on this list, but that doesn’t mean you can’t win big when you play. The biggest rolling streak in history belongs to a woman who rolled 154 times and cashed out her winnings without telling anyone how much she made. According to experts, it could’ve been up to $5m. And do you know what the probability of anyone making that streak was? 1 in 1.56 trillion. Now, that is one lucky woman! What to look for when buying a Poker Table for your Game Room? Interested in guest posting? Click here to find out how to write for us. © Copyright by bettingster.com. All rights reserved.